Will the Stock Market Crash in June 2018? Subject: Will the Stock Market Crash in June 2018? 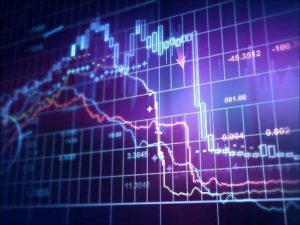 Volatility has returned to the stock market this year, and as stocks remain flat on the year, investors are concerned about a stock market crash in June 2018. While no one can predict a stock market crash, we are seeing some bearish signals that investors ought to keep an eye on. The Dow soared 25% higher last year, but it's returned a meager 1.68% so far in 2018. That could be a troubling sign as the second-longest bull market seems to run out of steam. But that's not what we're worried about. The first possible catalyst behind a 2018 stock market crash is soaring stock valuations. The Shiller P/E ratio, which measures the value of the market, has soared to 32.25, 91% above its historical average. The only time the Shiller P/E ratio has been higher was before the 2000 market crash. That means buying a stock today costs more money in terms of the companies underlying earnings than at any other point in history, including before the 1929 stock market crash. And we have the U.S. Federal Reserve to thank. When the last financial crisis hit, interest rates were well over 5%. The Fed stimulated the economy by slashing rates in 2008 to just 0.25%, the lowest in history. This action was supposed to stimulate economic spending by encouraging borrowing. But businesses used a chunk of the money to buy stocks. Between 2009 and 2016, public firms repurchased $1.9 trillion worth of their own stock using $2.1 trillion in cheap borrowed funds. That helped boost share prices across the board, helping lead to an absurd, 250% growth rate since March 2009. The second catalyst is the Fed's aggressive interest rate policy. The Fed has hiked rates six times since December 2015, including once already in 2018. And the next rate hike is almost certainly coming on June 14, which will push rates to 2%, their highest level since 2008. Now, we aren't predicting that will kick off the next stock market crash. But it's definitely something investors need to be paying attention to. Plus, investors can protect their money from a stock market crash without sacrificing potential profits.